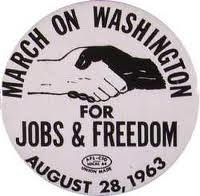 Many modern-day politicians and citizens see the words ‘Minority’ and ‘Rights’ together and think: Martin Luther King and voting and civil rights protection for black people in the South in the ‘60s. Older women would have thought of the Women’s Suffrage Movement of the early 20th century when Susan B. Anthony, among many others, got the 19th Amendment passed to achieve the right of women to vote in America. We have a young brainy-type friend who majored in the Classics (not rock ‘n roll or comics) in college AND Latin AND Greek. He, of course, read all the classic books from antiquity that Jefferson and Madison read in Latin and Greek just like they did. So there is hope yet. But when we argued that the American democratic republic established in 1787 was the first ‘real’ democracy since the ancient Greeks in Athens 2500 years previous and the first ‘true’ republic since the ill-fated 3-month Ciceronian republic in Rome, this young man corrected us. Not until the Civil Rights Act of 1965 passed in the United States could it be argued that a ‘true’ democratic republic had existed anywhere in the world. Ever. No kings to tell the people what to do; no wealthy elite from the House of Lords (how pretentious!) dictating everything for everyone all the time.’ Women and ethnic minorities finally were allowed full access to vote. So congratulations! You are living in the first truly ‘democratic republic’ that ever graced the face of this earth and it is only about 46 years young now! Maybe that is why it feels like we are still taking baby steps to running our nation. We just haven’t been doing it long enough yet. But we see people getting confused over all of the terms used to make democratic republics run correctly. ‘Minority Rights’. ‘Compromise’. ‘States Rights’. You can’t just take 1 or two pieces of the Constitution and say the Founders meant ‘this’ or they meant ‘that’. We believe the Founders believed in ‘majority’ rule, that is a given. However, given their very strong aversion to ANY concentration of power in ANY person or legislative body’s hand, particularly acute because of King George’s ham-handedness prior to 1776, we also believe that they took extraordinary steps to guarantee that the rights of ANY minority in America would never be trampled on. By anyone. And we mean for every minority, based on race, creed, religion, color and, yes, on political philosophy towards our own self-governance. And that includes conservatives when they are in the minority. And that includes liberals when they are in the minority. Let’s just look at a couple of insurance steps they took to guarantee 'minority rights' in Congress. Originally, The Founders wanted the state legislatures to appoint the Senators who would serve their state in the US Senate on Capitol Hill. No direct election of Senators from 1789 until 1913 when the 17th Amendment to the Constitution was adopted. That’s a long, long time, 124 years to be exact of our nation’s history. We believe the Founders, being creatures of the state legislatures that they were, wanted to institute an umbilical cord of control directly from the state legislature to what is simply the most powerful part of our government in terms of legislative procedure bar none. They were 'legislative supremacists' of the first order. Henry Clay came along 30 years later to fully show the young nation how Congress was going to shape the growth of the young nation through muscular legislative action, not executive power or privilege. Think about it. A US Senator was given the power, through Jefferson’s Parliamentary Procedures Manual, to: 1) put a 'hold' on any piece of legislation or nomination to the judiciary; 2) hold virtual veto power over the entire Senate and therefore the entire Congress because each bill requires ‘unanimous consent’ to advance it to the floor for consideration and 3) perhaps most importantly, the power of the 'filibuster', or a one-man gang that could tie up legislation and traffic on the floor of the Senate for as long as one man could read the entire New York City phone book and the Bible into the Senate record for days and weeks on end. And if the legislatures selected one of their own majority colleagues from their state legislature to the Senate, don’t you think they would write him regularly to tell him to 'do this' or 'block that' on the behalf of our beloved home state, or else we will recall you from that cushy position at the end of your 6-year term and make you come home to our (hot, muggy, mosquito-infested) state down South? Reading the Bible into the Congressional Record for months on end might have been seen as far preferable to returning to a southern state where you might contract malaria back in the 19th century. But such protections of the rights of the minority in the Senate necessarily forced reasonable compromises that were somewhere in the middle along a continuum from the extremes at both ends of the political spectrum. No 'signed pledges' back then; only an oath to 'support the Constitution' and 'defend us from our enemies' when they were sworn into office. They maintained the flexibility to negotiate and compromise to the best of their abilities...and then come home for 6 months at a time. Now with the direct election of Senators by citizens of the state, Senators no long feel tied or bound to anything the state legislatures want them to do. Many Senators do not even communicate with their state legislative bodies anymore. The US Senate has taken on such an air of importance and superiority that, well, let’s just say that the state legislatures are not viewed as being ‘as important’ as many US Senators view themselves. Back from 1789 to 1913, the state legislatures and their leaders in the majority were viewed as pretty ‘DAMN IMPORTANT!’ by every US Senator and feared in many ways. Especially the day when the state majorities changed for some reason or another. Goodbye, Potomac Fever! Hello, Yellow Fever! We think going back to state legislative appointments of US Senators and allowing full filibusters would more correctly reflect the intent of the Founders to protect the rights of those in the minority on Capitol Hill. At the same time, we think more reasonable compromises would occur instead of allowing Congress the repeated opportunities to kick problems down the road and not fix them now, such as on the budget stalemate for the past decade or so. Anyone for the 28th Amendment to repeal the 17th Amendment?